TThe Pacific Inn Hotel is located just a few blocks from the water in beautiful Seal Beach, California. The Pacific Inn offers many of the amenities one may expect at a larger hotel, while maintaining the customized service and attention of a wonderfully appointed boutique hotel. Located in the heart of Seal Beach, a short walk takes you to the Main Street shopping district, the Seal Beach Pier, and over 30 local restaurants varying from casual to international cuisines. 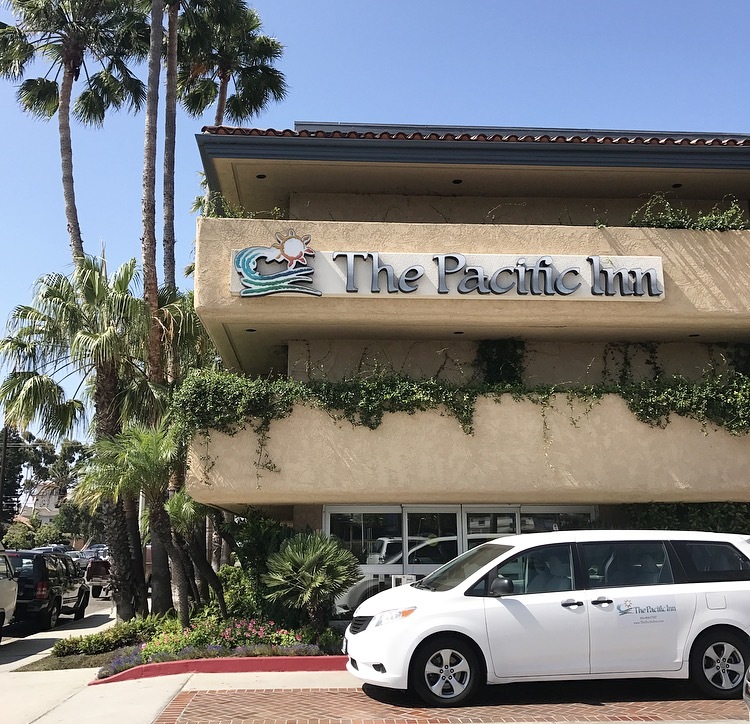 The Pacific Inn Hotel in Seal Beach is conveniently located on the northern border of Orange County, acting as the southern entryway to Long Beach - the ideal location to experience some of Southern California's best beaches and attractions. The Pacific Inn welcomes you to escape for a while, and enjoy our quiet beach community. We await your arrival and the opportunity to be the choice boutique hotel for your next California Adventure. Historic Seal Beach is a charming coastal town in the heart of Southern California. Enjoy the fun activities, unique restaurants, beautiful weather, and walkability of our special beach town. 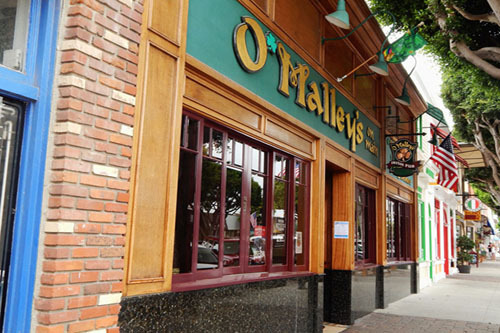 A little something for everyone nestled in our local Seal Beach neighborhood. Enjoy our famous Pier, food tours, surfing lessons, The Aquarium of the Pacific, and more! Looking for additional space or added luxury? Call us to inquire about our highly requested two room suites! Completely reimagined rooms with a modern coastal touch. Light and bright, with added space and amenities for your enjoyment. Stay in our spacious corner rooms! Our two junior suites provide added space and privacy for our guests that love to be close to the pool. From I-405 North or South, exit Seal Beach Blvd. Turn left (West) and proceed to Pacific Coast Hwy. Turn right (North) on Pacific Coast Hwy. Turn left on Marina Drive and arrive. Absolutely loved staying here. First, it is clean. Second, the location is awesome. It's an easy walk to the shops, restaurants, and beach. And, finally, breakfast was really breakfast, eggs, sausage or bacon on varying days, make your own waffle, yogurt, toast, bagels, juice, cereal, fresh fruit, you name it, they had it. Plus, the coffee is the best coffee I have ever tasted. LOVED this hotel! It was Spring Break and we were looking for an affordable hotel near the beach. This hotel has a pool and spa, free coffee 24 hours in their lobby, great free continental breakfast and fantastic staff! Everyone I encountered was so nice, friendly and helpful! The room was clean, beds were comfortable. Refrigerator and microwave in room, flat screen TV. Not outdated at all. 2 chairs to relax on the patio. Small fitness room but it has all the basics. Continental breakfast- waffle maker, coffee, juice, fruit PLUS eggs, potatoes and some sort of meat. One day it was sausages, the next it was ham. You can easily make a breakfast sandwich. Free parking, lots of spaces to park. Seal Beach is a beautiful small town. The only downside is Seal Beach is not dog friendly, so if you plan to bring your furry friend, be prepared to drive either to Huntington (about 15 minutes drive) or there was another small one in Long Beach about 10 minutes away. We highly recommend this hotel and would definitely stay here again! The room was always cleaned very well, things were restocked after use, and the breakfast was absolutely delicious. 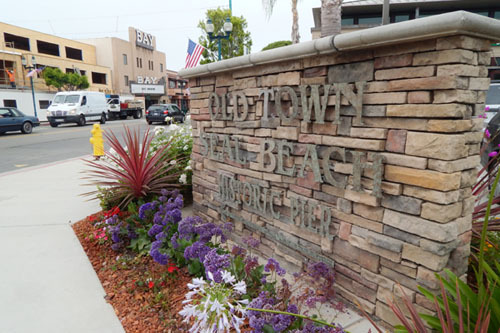 Every staff member was so kind to us and suggested great things to do around Seal Beach. My husband and I will definitely be going back. The Pacific Inn Boutique Hotel located in Seal Beach, California providing the very best in hotel, motel, suites & rooms located near Long Beach, Sunset Beach, Cypress, Cerritos, Garden Grove, Huntington Beach, Signal Hill with dining, swimming pool and all of the luxury amenities & accommodations for a memorable stay.